Happy Valentine's Day! What better way for us to celebrate this day than by talking about the newest installment of a franchise we love. Yesterday, Nintendo had one of its special Nintendo Direct presentations. Included in the forty-something minute showing was a new trailer for Mario Kart 8. We think it would make sense after we've let the footage sink in to come up with what we'd like to see in the next installment of this longest-running kart racing series. From returning features and modes to returning characters and tracks, we have our desires for Mario Kart 8 listed for you to carouse. Of course, more wants means an increased chance of not getting what we want on a lot of things. Still, we had fun coming up with this feature. Ever since Mario Kart DS introduced a ranking system for cups, it has been impossible for two players to sit down and race through a Grand Prix cup with one another. Not only is a ranking system in a racer that sometimes relies on haphazard outcomes really irritating (In first place? How about a blue shell to ruin any chance of getting three stars? ), but it apparently means that we can't play Grand Prix cups with friends and family members. 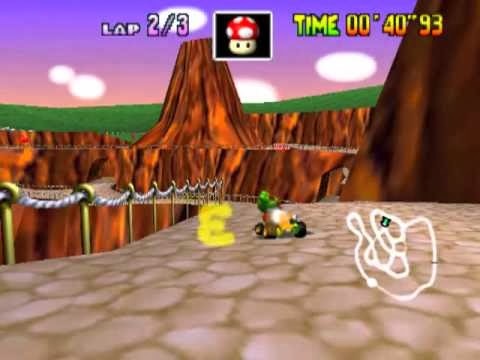 We can't help but reminisce about playing the various difficulties in Super Mario Kart, Mario Kart 64, and Mario Kart: Double Dash!! When one of us needed to pull ahead of a CPU player who was ahead in points, the other would do everything in their power to screw the AI over. We felt like there was an element that wasn't totally random in the Grand Prix cups with racing with another human, even if we were competing with each other. 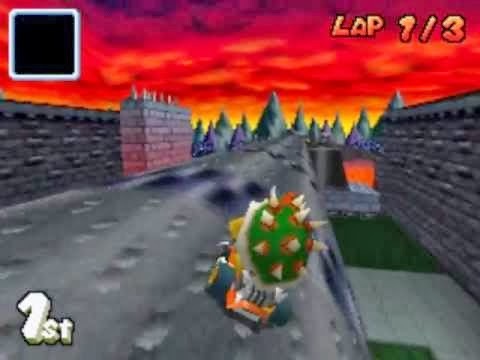 Now, most Grand Prix races in more recent Mario Kart games are driven less by skill and more by "God, I hope I don't get reamed by three items in a row to totally mess me over." Not only does it make multiplayer races more enjoyable, but it makes those races really mean something. Unlocking content in video games through completing certain tasks is seldom unexciting. It wasn't in Mario Kart 7, either. However, the way that one went about unlocking new kart parts to customize one's machine, a mechanic that will return in Mario Kart 8, was like shooting craps. Through collecting coins in Mario Kart 7, a maximum of ten each race, you eventually reached certain coin amounts that unlocked a random kart part. At the early goings, one must simply need to collect 100 coins to unlock a part, but as you continued on, the amount of coins between unlocks grows and grows. This means that getting parts that you're wanting can happen in a short time or a looooong time. It's not as if one kart chassis, set of wheels, or glider is better than another. Each has their strengths and shortcomings. Really, the thing that interests most Mario Kart 7 players is finding kart parts that appeal to them visually. Some kart parts are cooler looking than others. We'd like to see in Mario Kart 8 an improvement in how kart parts are unlocked. Perhaps a shop where you use coins to purchase a whole assortment of kart parts. You could choose what bodies, wheels, and gliders you wanted, so you wouldn't have to rely on luck to get the part you really want. 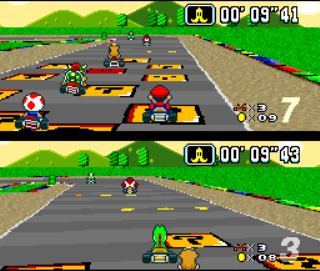 Mario Kart DS introduced a mode that greatly lengthened the single-player content of the game. 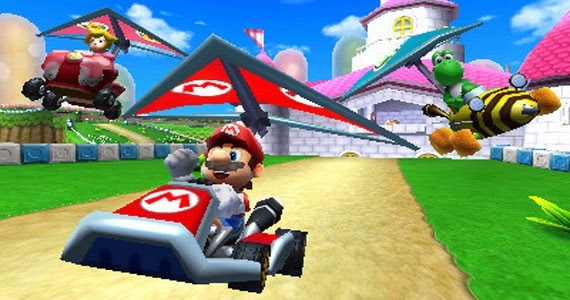 It was Mission Mode, a series of 56 individual timed missions that took place within Mario Kart DS' wide assortment of tracks and battle arenas. Such missions included collecting coins, racing through numbered gates, using items to defeat a set number of enemies, and battles against boss opponents. 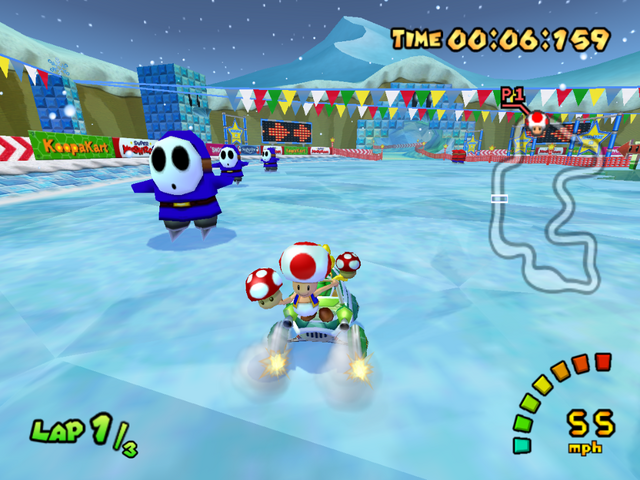 While Mario Kart Wii did offer online tournaments with challenges similar in concept to those of the DS version, these were delivered piecemeal to players. 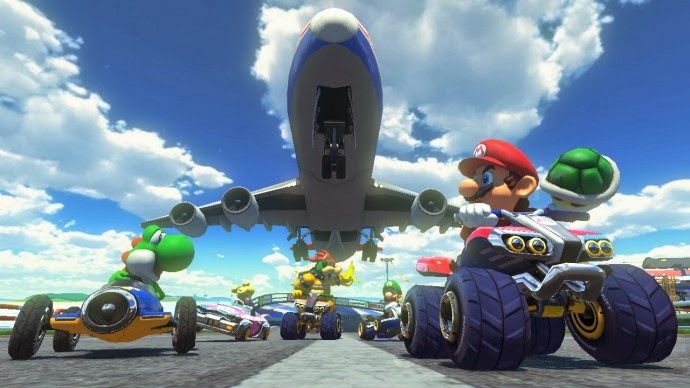 The return of Mission Mode would make the offline experience of Mario Kart 8 tremendous, and it would throw in the type of challenges that would improve players' skills. Nintendo picks and chooses characters to include each Mario Kart seemingly on its own whims. How can we ever forget the glaring omission of Waluigi in Mario Kart 7? (No worries-- Waluigi is indeed in Mario Kart 8.) However, seeing as Nintendo seems to be pulling out all stops to make this the ultimate Mario Kart experience, we think these characters from past games shouldn't be neglected! Diddy Kong - Nintendo has shown no problem including elements of the Donkey Kong Country series into Mario's realm, so the inclusion of Diddy Kong, who has been in a plethora of Mario sports games, definitely seems like a great idea to continue his foray into competition. 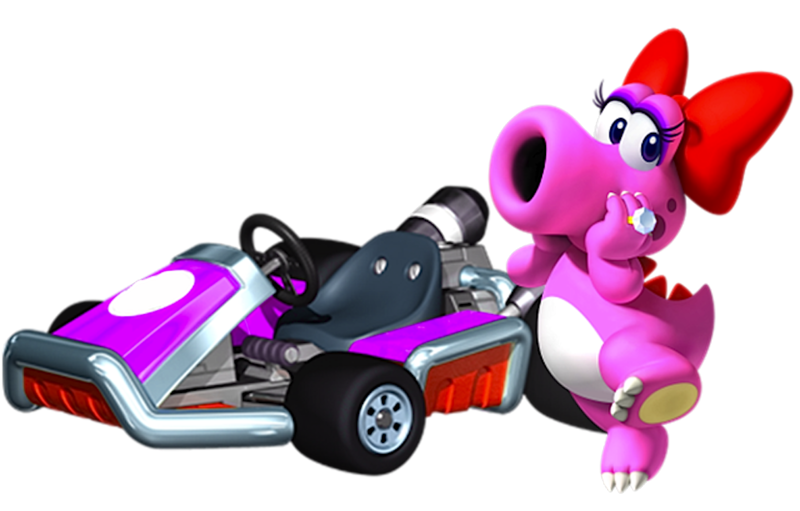 Birdo - The Super Mario Bros. 2 (USA) darling was last seen in Mario Kart Wii. We really have no justification to bring Birdo back except for liking the character. Bowser Jr. - Since his arrival to the Mario Kart series with the GameCube's Double Dash! 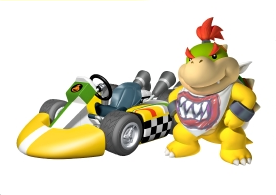 !, Bowser Jr. has only been included in the roster of Mario Kart Wii. 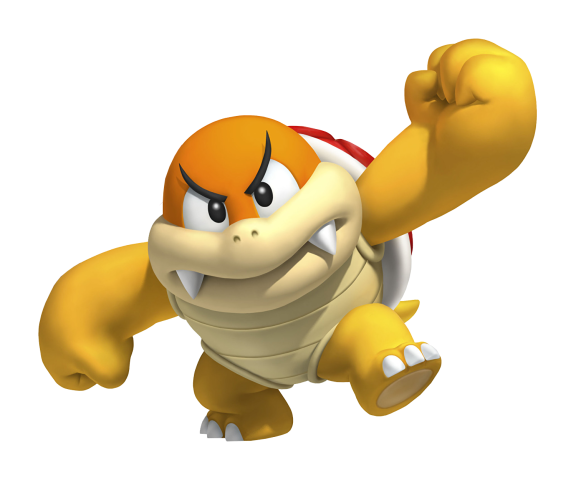 That grinds our gears, as Bowser Jr. is a character we really enjoy and would love to see return in his full glory in HD. 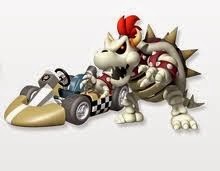 Dry Bowser - Not only is his design awesome, but we need more heavy characters in Mario Kart 8. His gigantic skull appearing in the Bone Dry Dunes leads us to believe he may be a shoo-in for Mario Kart 8's cast. The big news from the Mario Kart 8 trailer shown yesterday was the addition of the seven Koopalings to the Mario Kart 8 roster. While we're very satisfied with their inclusion to the game's record-breaking amount of racers, we can't help but hope there's more new characters to the Mario Kart series than just the Koopalings. Here's our picks. Boom Boom - Debuting in Super Mario Bros. 3, Boom Boom took a long hiatus from the spotlight afterwards. Perhaps he lived his life through the years as a Jersey shore fisherman, catching large amounts of fish to feed his family. Regardless, he's since appeared in a multitude of titles from New Super Mario Bros. U to Super Mario 3D Land and World. Another ideal pick for a heavyweight, Boom Boom would be an intriguing racer for Mario Kart 8. 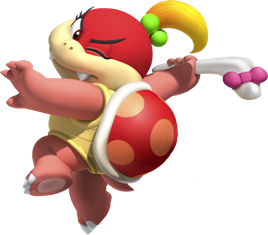 Pom Pom - Although she hasn't appeared in as many games as her brother, nor has she been around anywhere near as long, Pom Pom is a fresh character from Super Mario 3D Land and Super Mario 3D World that is just adorable, has a great presence, and would make one of the few female heavyweight characters, assuming Rosalina retains your weight class from Mario Kart Wii and Mario Kart 7. Kamek - Kamek was originally going to be one of the eight racers of Mario Kart 64. He was later removed and replaced by Wario. Well, we think Kamek has waited long enough to have his debut in a Mario Kart game. 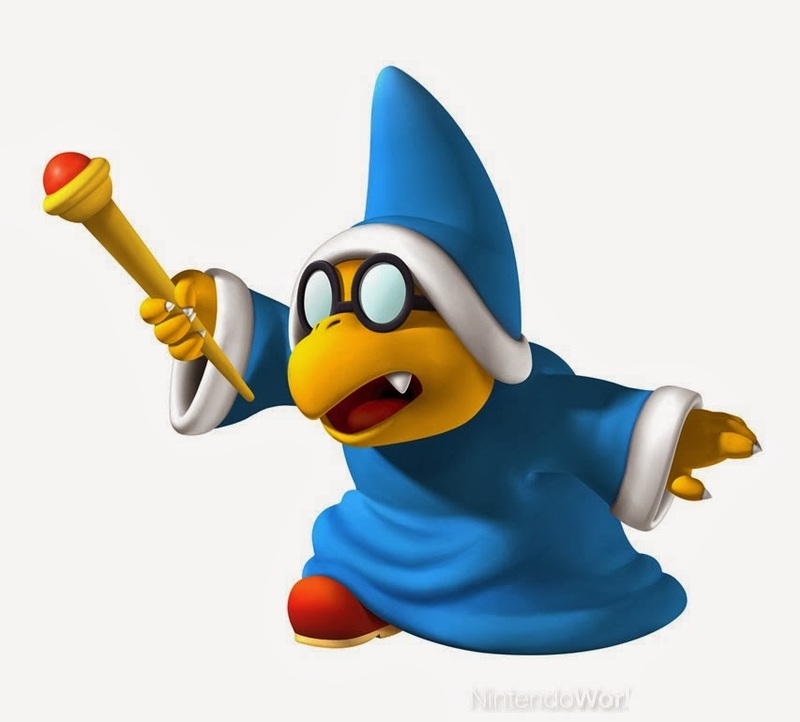 Whether known by Kamek or just as Magikoopa, we would love nothing more than to see this character get the chance he was cheated out of so many years ago. 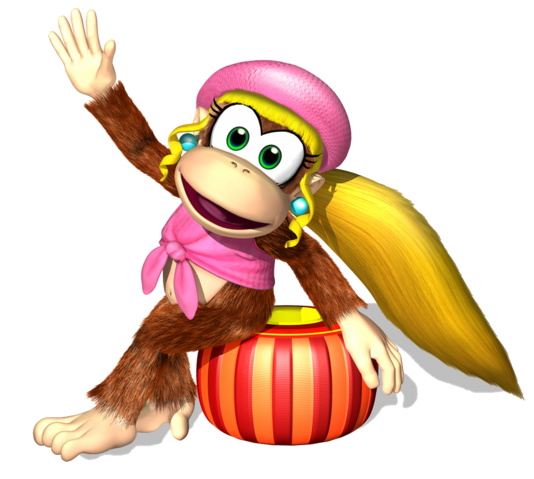 Dixie Kong - We were happy with the out of left field addition of Funky Kong to Mario Kart Wii's roster, but we can't help but think that Dixie Kong would have been a more interesting choice. She's no stranger to kart racing, as she did replace Banjo or Conker in the DS remake of Diddy Kong Racing. Plus, the character is just awesome and will be coming off what appears to be an excellent game in Donkey Kong Country: Tropical Freeze. Currently, there are seven confirmed Retro courses returning in Mario Kart 8. Three come from Mario Kart 7 (Music Park, DK Jungle, Piranha Plant Slide), one from Mario Kart Wii (Grumble Volcano), one from Mario Kart DS (Tick Tock Clock), one from Mario Kart: Double Dash!! (Dry Dry Desert), and one from Mario Kart: Super Circuit (Mario Circuit). That leaves nine unconfirmed Retro tracks, with Super Mario Kart and Mario Kart 64 not yet having a Retro course to represent those respective games. Here are some of the tracks from past games that we'd love to see and our reasoning as to why. Daisy Hills (Mario Kart 7) - If past Mario Karts with Retro tracks are anything to go by (and if memory serves correctly), then the most recent entry of the series will have four Retro tracks representing it. The idyllic Netherlands-esque setting, ride through a countryside village, uphill climbs, goats, and fabulous hang gliding section over a lake while avoiding hot air balloons make for a great entry level track that is quite fun to race on. Toad's Factory (Mario Kart Wii) - The final race of the Mushroom Cup in Mario Kart Wii, Toad's Factory is by far the most interesting of the first four races. It features plenty of hazards and gimmicks, such as conveyor belts, hydraulic stampers, tractors, mud, and more. We can imagine racing on the walls of the indoor sections of track. Bowser Castle (Mario Kart DS) - This along with Double Dash's interpretation of Bowser Castle are the best versions of the Koopa King's home course that have yet to be included as Retro tracks. We love the DS incarnation because of its interesting gimmicks, such as the circular room with the spinning floor, the outside spinning cylinder that can make racers fall off, and the ending group of platforms that slide back and forth across the lava. 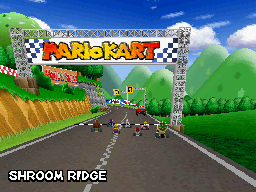 Shroom Ridge (Mario Kart DS) - We're fans of street racing tracks, and there's nothing better than a drive through the picturesque country that Shroom Ridge bestows upon players. Drifting through the wide curves of the track is ever so satisfying all the while watching out for traffic. Sherbet Land (Mario Kart: Double Dash!!) 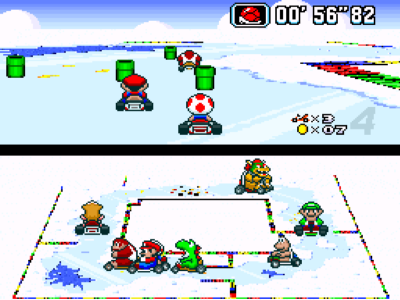 - We've noticed an egregious lack of a snow/ice track in Mario Kart 8's footage so far. Now, while it stands to reason that of the four remaining courses that have yet to be shown, one of them could be snow-related. 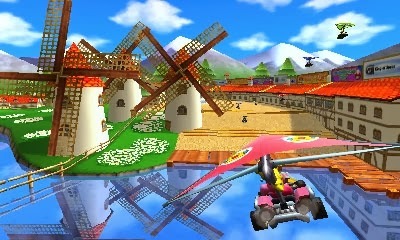 However, we'd still like to see Double Dash's Sherbet Land showcased. From its skating Shy Guys to its homestretch infested with Freezies, Sherbet Land is a provocative track that gives us a warm feeling despite its frozen complexion. Wario Colosseum (Mario Kart: Double Dash!!) 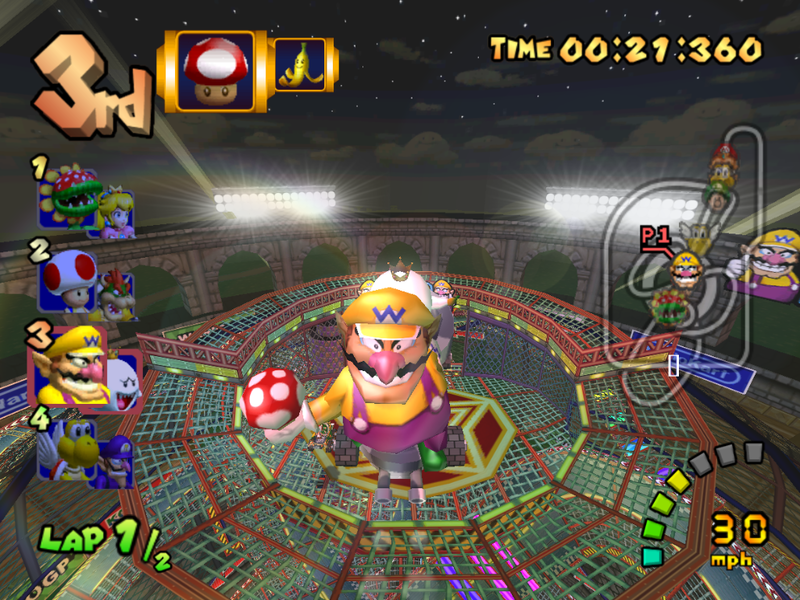 - Full of wild turns and a motocross-like design, Wario Colosseum has so many possibilities for anti-gravity sections. We can only imagine jetting across twisted track suspended in the sky, happily losing our collective lunches. 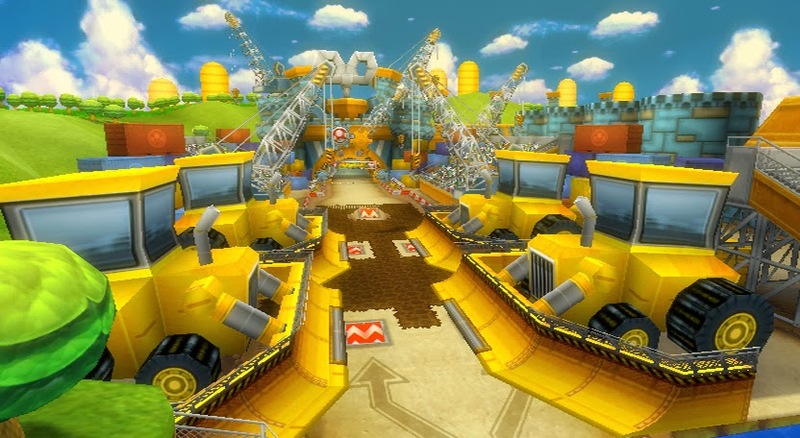 We think Wario's Double Dash course would be a perfect candidate for a Mario Kart 8 Retro track. Royal Raceway (Mario Kart 64) - The last of the raceway tracks from Mario Kart 64 that has yet to be used, Royal Raceway features a variety of banked and hairpin turns, perfect for making drifts on. The ramp that blasts racers to the other side of the body of water would be a great place for a hang glider segment, and by far our most wanted part of this retro wonder to come to life, driving around Peach's castle grounds. Yoshi Valley (Mario Kart 64) - Probably the most requested Retro course from fans that comes from Mario Kart 64 is Yoshi Valley. 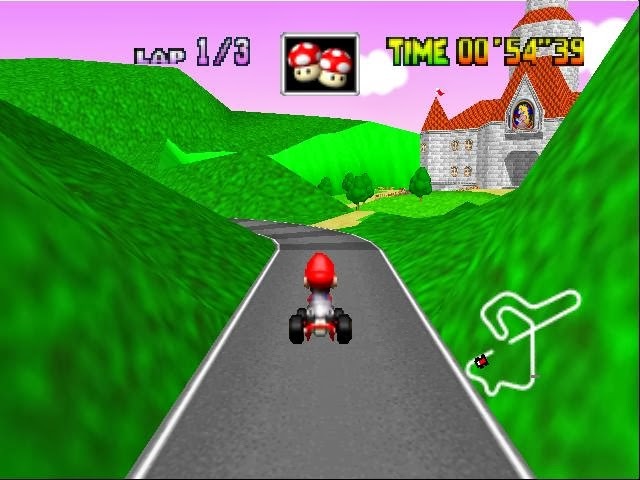 It's a track that easily distinguishes itself from any other in Mario Kart history with its abundance of paths to take. Finding the correct path to shave off precious seconds from a racer's overall time is paramount for crossing that finish line first. Vanilla Lake 1 (Super Mario Kart) - Not counting its inclusion in Super Circuit, as the concept and rules of Retro tracks hadn't been properly realized, Super Mario Kart's Vanilla Lake 1 is a simple circular track, covered in ice chips that break when a racer collides with them, stopping their progress completely. What makes us want to see Vanilla Lake 1 is to see how the development team of Mario Kart 8 would interpret and re-imagine this wintry track. What would you like to see in Mario Kart 8? We've just scratched the surface of the possibilities. Throw out your own ideas, desired tracks, and wanted characters in the comments below. We don't generally have entries dedicated to box arts, but we definitely like to share ones that look nice and are for games we're quite interested in. 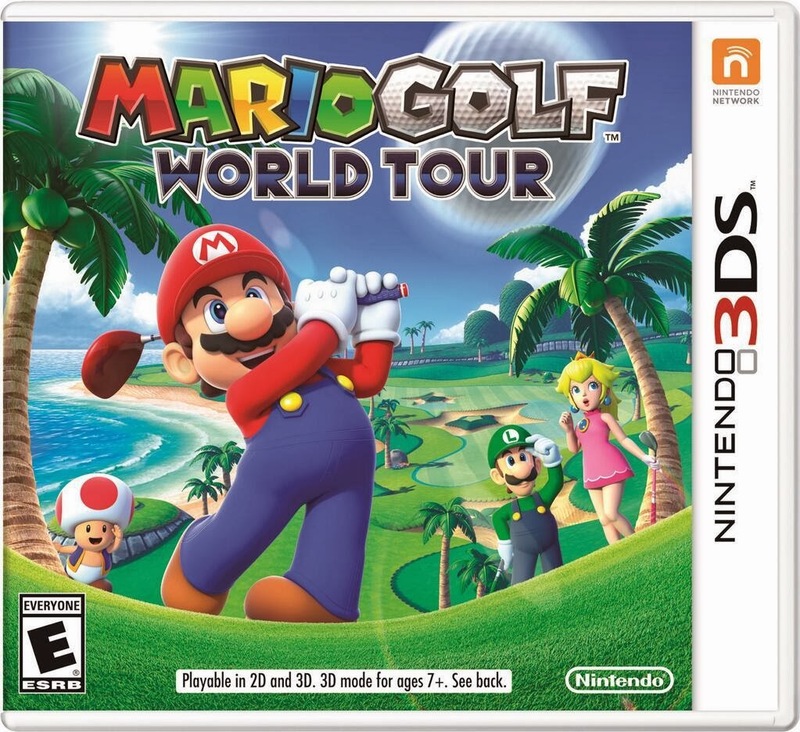 Mario Golf: World Tour is set to hit the links in North America on May 2, and Nintendo has provided us with the official box art for the game. Usually we at SuperPhillip Central have reasons for reviewing older games at a certain date. For instance, this Tuesday marked the release of Lightning Returns: Final Fantasy XIII, so we reviewed the excellent Final Fantasy Crystal Chronicles. Tonight, we have no real reason other than wanting to give some more attention to this overlooked Nintendo 3DS game. It's Griptonite Game's Shinobi. Shinobi was a powerhouse on the SEGA Genesis/Mega Drive and in arcades back in the day. 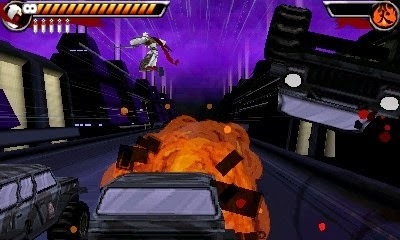 The series was revitalized with hard-as-nails PlayStation 2 entry, followed up by a sequel called Nightshade. In 2011, developer Griptonite Games took control of the long-resting franchise to give Shinobi's fans another new adventure to enjoy. 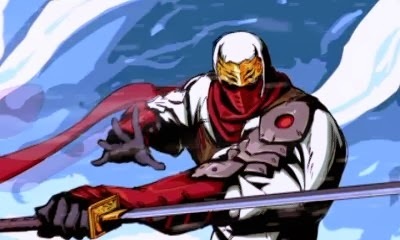 Simply titled, Shinobi, this Nintendo 3DS installment is worthy of SEGA's masterful ninja's name. 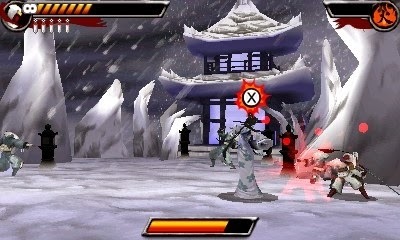 Shinobi's 3DS outing begins with Jiro Musashi's village has been attacked by a group called Zeed's ninjas. Protecting against the ninja forces successfully, somehow Musashi is sent 800 or so years into the future, where Zeed controls the world. What follows is a series of confusing 2D art displays that attempt to tell a story. However, this story simply comes off as one unintelligible scene after another with little apparent cohesiveness. Still, the scenes are presented in a cool 2D art style, so at least it's eye candy. Cool scenes, but what is going on!? To get this out of the way before I begin, let me just say that Shinobi is a difficult game. It can be frustrating, it can be irritating, and it can make you want to pull your hair out. However, by that same token, Shinobi is usually a fair game. When you die, it's generally your own fault. Your acrobatics know no limits, Jiro! There are multiple difficulties to select from in Shinobi, each providing the player with a different number of lives and continues to work with, as well as a lenient or strict amount of checkpoints. For example, Beginner is recommended so you can get the hang of and layout of each of the game's eight levels. You also get unlimited lives and continues, meaning you can explore levels while throwing caution in the wind. This is great for finding the locations of the hidden collectibles in this installment of Shinobi, the Mastery and Bonus Coins. In addition to that, seeing as there are plenty of blind jumps and enemies that can seemingly come out of nowhere, you can learn the lay of the land for future difficulty attempts. The Normal difficulty is when things get a bit more challenging. There are unlimited continues, but you only get so many lives to work with and exhaust before you must retry the level you're on from the very beginning. This wouldn't be so bad if said levels weren't overly long. Levels can take anywhere between 10-45 minutes on a first go. This means that if you die and lose all your lives, you basically have to redo 10-45 minutes of progress. That's just brutal. I would have preferred if the Griptonite Games split up these eight large levels into 16 smaller ones. It would make the game less daunting to players. Levels themselves have a decent amount of action and platforming to keep players on their toes. It's not too hard to argue that most of the levels are designed well, save for some blind jumps here and there. 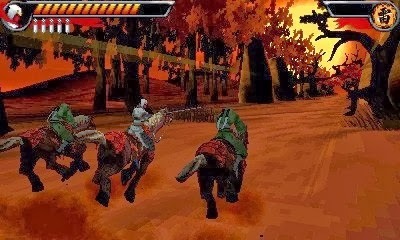 However, there are spots in the game that change the formula up poorly, such as a horse riding sequence in the middle of level one, as well as a sequence that requires you to use the 3DS's gyro sensor to tilt left and right in order to get Jiro to surf down a path of water safely. Hi, ho, Silver... go away! Shinobi requires great skill and exquisite timing in order to get through the game's eight levels. 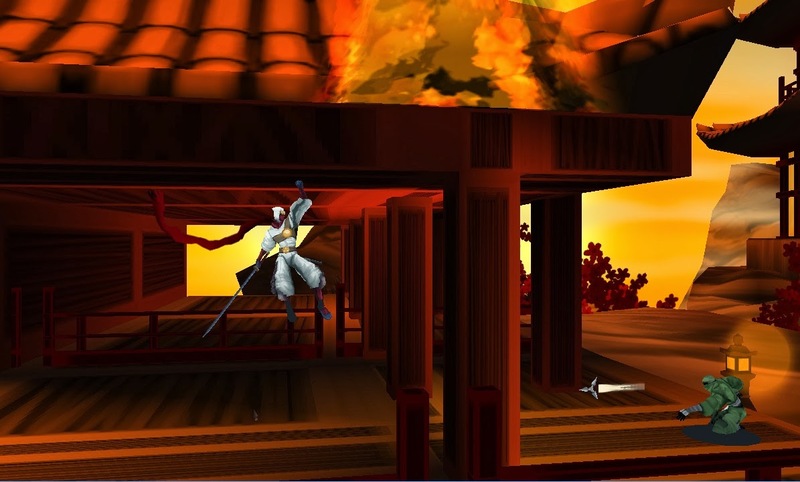 Through double jumps, wall jumping, kunai throwing, and other actions, Jiro Musashi's adventure is not for the faint of heart. 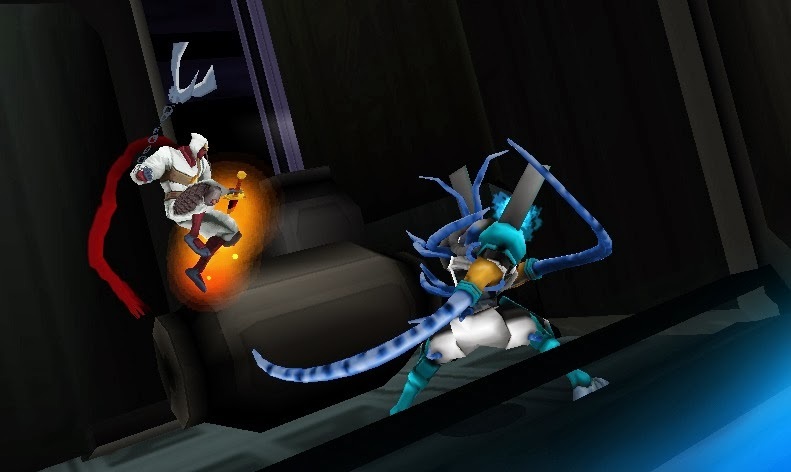 Enemies are ruthless-- chucking kunai at Jiro, jumping into the air as their sword dangerous spins, shooting homing controlled missiles, and much more. However, you have the ability to parry virtually every attack dealt out to you. Of course, this takes expert timing to block attacks as well as a steady eye to see the attacks coming. As Jiro slays foes with his blade, his multiplier meter goes up. As long as he doesn't take damage, Jiro can boost the amount of points he gets from defeated foes by up to four times. This is key in getting highly coveted "S" rankings on every level. However, each time Jiro takes a hit, he loses points from his level total, as does using one of four magic scrolls that give Jiro a strong boost. Additionally, death takes away a significant amount from his score. but it also penalizes your ending score. 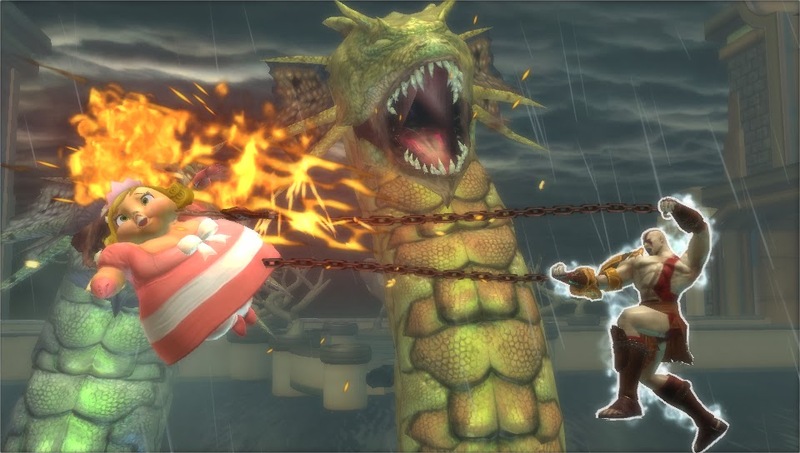 Boss fights cap off each level, offering a contender that has a set pattern that needs to be learned in order to overcome them. Usually the boss eventually leaves themselves open to an attack or even a one button quick time event to damage the boss significantly. Shinobi may be a relatively short game to get through the campaign. Although that is true, there are an abundance (over 60) of achievements to complete, such as getting "S" ranks on stages, finding all of the Mastery Coins, parrying 100 attacks, and so forth. These achievements unlock cheats and bonuses like alternate costumes and weapons in the Free Play mode. There's also challenge maps that are gained through StreetPass or spending play coins to extend the replay value of Shinobi to respectable levels. 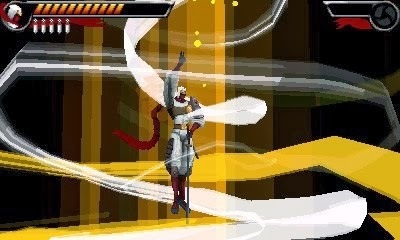 Although it runs rather well on the Nintendo 3DS, the visuals of Shinobi fail to impress. 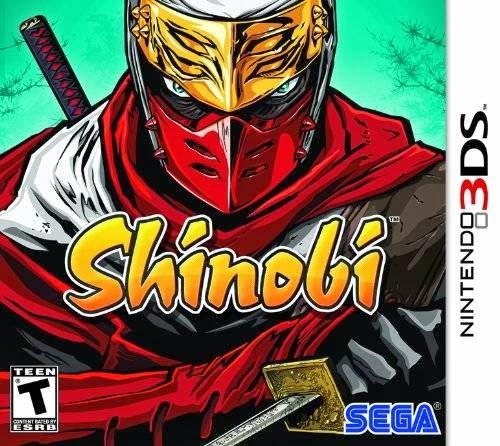 While the stereoscopic 3D and 2-1/2D gameplay works well, it's pretty apparent that Shinobi was originally developed on the Nintendo DS before being moved over to the system's successor. The music of Shinobi serves the game world and its action well. It is nothing that will most likely get etched into your memory, but it's neither obnoxious or boring to listen to all the same. but they're serviceable at least. Shinobi is a very competent action game that harkens back to a time when games didn't hold your hand and appealed to the lowest common denominator of players. That said, casual players should probably not take on Jiro's quest to take down the Zeed, as it can be extremely challenging to beat, even for more seasoned gamers. Nonetheless, the challenge is set where you're generally at fault for dying. Throw in a robust amount of unlockables and tight controls, and you have a game that does not dishonor the Shinobi name. Donkey Kong Country: Tropical Freeze released in Japan this week. In North America and Europe the game releases a week from Friday. It will most likely be the last review of this month. Since nobody here on our small staff imposes deadlines on one another, we're free to fully explore each game we play and give an in-depth analysis. That doesn't make us better than say, IGN or GameSpot-- it just makes us different. We hope you'll look forward to our review. Let's be honest here. The starting games of this afternoon's Nintendo Direct were great. The middle of the presentation for North Americans received a grinning idiot boring of us and wasting our time with games we either knew about or didn't care about. However, the ending made it all worth it. That's because we received a new trailer for the 2014 release Bayonetta 2, exclusive to Wii U. Check out this trailer if you missed it. It's pure Platinum Games. During today's Nintendo Direct, Nintendo showed even more footage of its highly anticipated new entry in the long-running Mario Kart franchise. 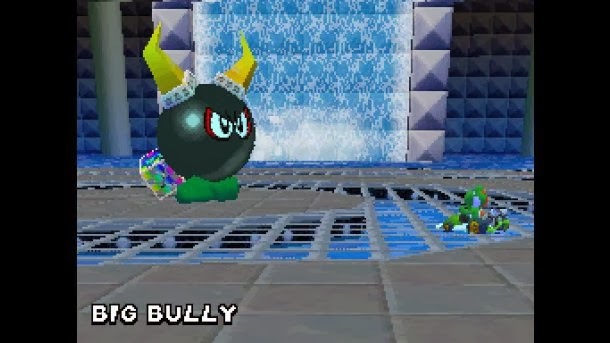 The most notable piece of information to take from the footage is the inclusion of all seven Koopalings, which originally debuted in Super Mario Bros. 3. Hopefully that means that other characters have gotten the boot due to their appearance on the roster. Still, there's no denying how great Mario Kart 8 looks, and it finally has a release date for North America, May 30. What Camelot's Mario Tennis: Open lacked was a strong single-player component. Mario Golf: World Tour, due out May 2 in North America, aims to fix this with a mode starring your Mii. As you advance in the ranks, you earn the ability to update your appearance and equipment. The golf enthusiasts in us are excited to head back to the links with Mario and friends. Oh, god! The trailer music! It's... it's SO bad! Yoshi's Island DS at least had boring music, but at the same time it didn't really annoy. THIS is just on another level. Despite that, we're liking what we're seeing out of Yoshi's New Island, set to release next month. Regardless, we do have our reservations about the gyro controls for transformations... We'll see if our skepticism is founded or not when Yoshi's New Island releases in March. Kirby's latest adventure is highly reminiscent of Super Star as well as 2011's terrific Wii outing Kirby's Return to Dream Land. With the addition of collectible key rings, each conveying an enemy, item, or character from Kirby's illustrious past and new powers, Kirby Triple Deluxe is a Nintendo 3DS game we cannot wait to play. Similar to other segments such as Localizations, Please! and Remakes, Please!, Sequels, Please! is another segment at SuperPhillip Central where we more often than not fruitlessly beg for games that we desire. Although we do not get what we want most of the time, we've gotten what we begged for several times, such as a new Donkey Kong Country or localization of games like Bravely Default, Theatrhythm Final Fantasy, and Tales of Xillia. Obviously we had nothing to do with these games being released, but we'll take what we can get. Sequels, Please! delves into individual games or franchises that we would absolutely love to see new installments for. From a Smash Bros. inspired fighting game to an intense stroll through the zombie apocalypse, these games are ones we'd greatly enjoy seeing sequels for. After you've read our picks (we have plenty more in mind, but we gotta make this a series of segments somehow! ), please let us know what sequels you've always been dreaming of. The wilder, the better! We start off with a game that we cannot believe didn't do as well as we (and Sony) were hoping. 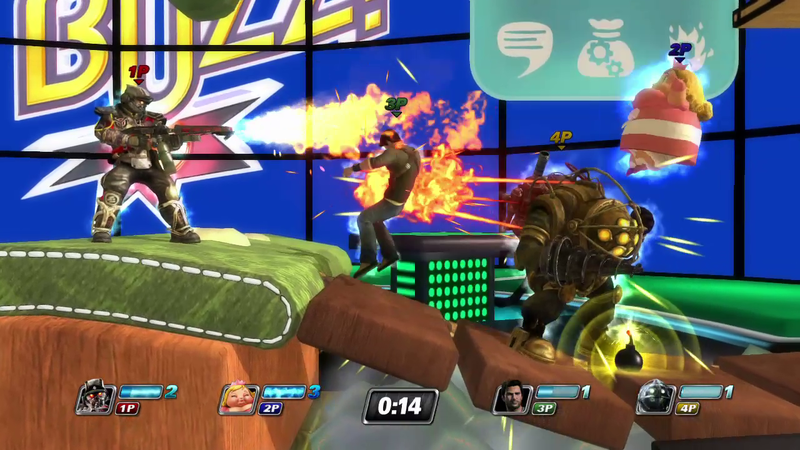 PlayStation All-Stars Battle Royale was without any question the PlayStation brand's answer to Nintendo's Super Smash Bros. series. 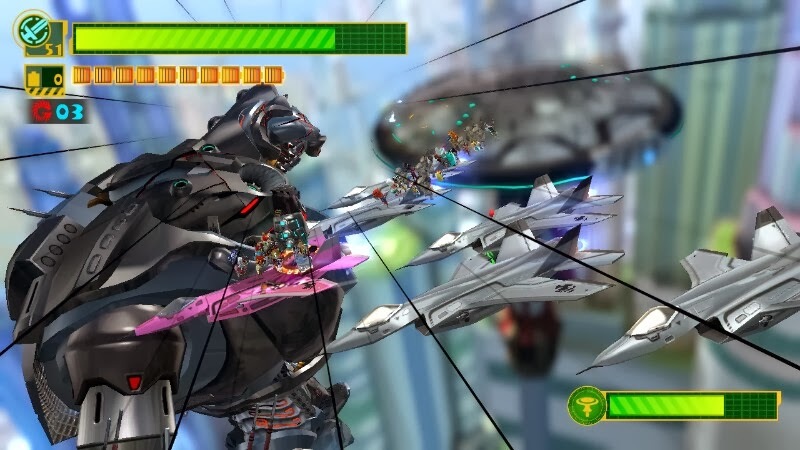 While the games did have their obvious similarities, PlayStation All-Stars altered how points were made. We realize that this caused much criticism, but we can't help but be thankful that SuperBot Entertainment tried something different to distinguish this party fighter from its point of inspiration. With some fine-tuning of the formula and better roster choices, we'd love to see Sony return to this series with a title and cast that definitely are worthy of the PlayStation name. Here comes a game that we had no problems declaring it as the best LEGO game yet. It's not even a close race. 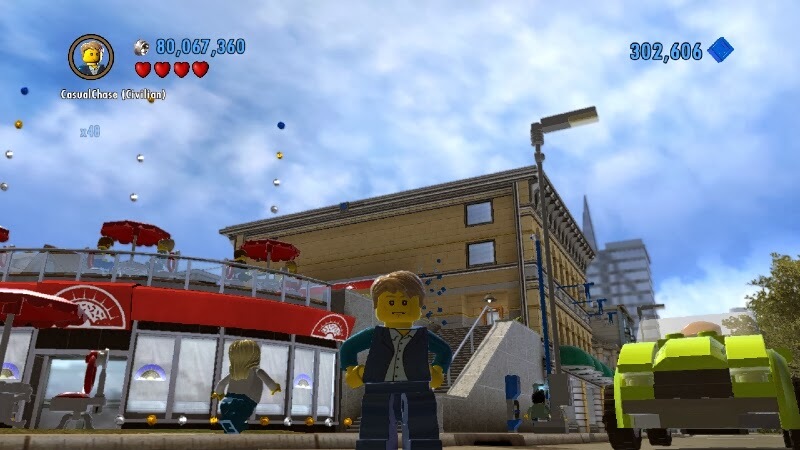 LEGO City Undercover introduced Wii U owners to a sprawling city with myriad activities to take part in, things to collect, and tasks to complete. While the Nintendo 3DS saw a prequel to its Wii U bigger brother, that game was a technological mess and did not possess even half the charm and wit of the Wii U game. 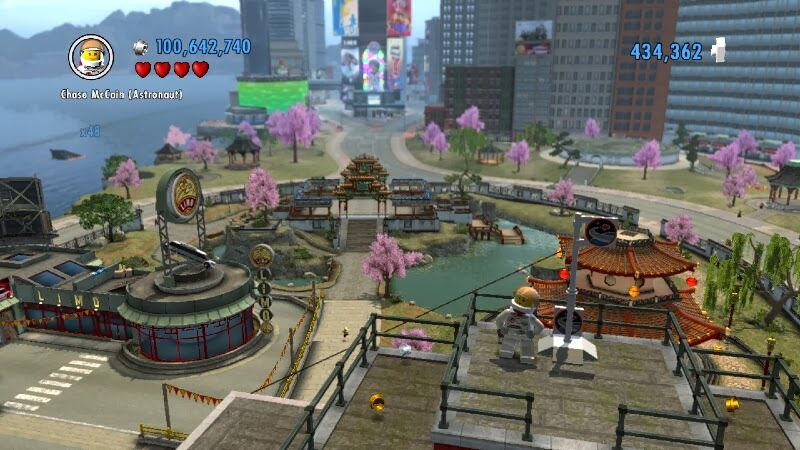 We would absolutely love to see Tt Games return to Chase McCain's world and deliver yet another hilarious and addicting LEGO City game for Wii U. Heck, it doesn't even have to take place in LEGO City! 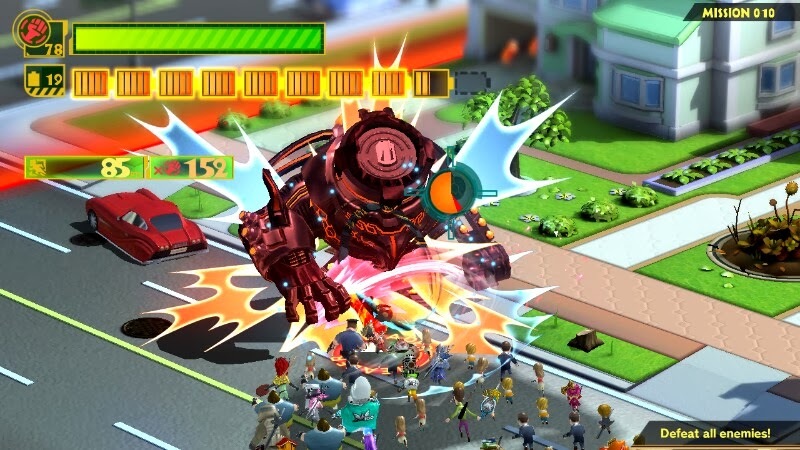 Give thanks to Nintendo's horrible handling of this game commercially, which funnily enough is a prime reason why the Wii U is a sales disgrace, as to why The Wonderful 101 did not do gangbusters at stores. Quite the opposite actually. The demo, with its lack of a real tutorial, infuriated and turned off many players. However, those of us who have played the final version of the game experienced an increasingly escalating game that continued to dial up the crazy from start to finish. Oh, that ending sequence! On his Twitter (if you don't know the handle, ask your mom), Hideki Kamiya has expressed interest in a possible Wonderful 102, but that's up to Nintendo. Seeing how risk-adverse and safe they have been with their game announcements lately, we're less than hopeful. Still, we'd love for our pessimism to be unfounded. For a series that is so popular, The Legend of Zelda series has seen very few imitators, much less ones that can hold a candle to any installment. 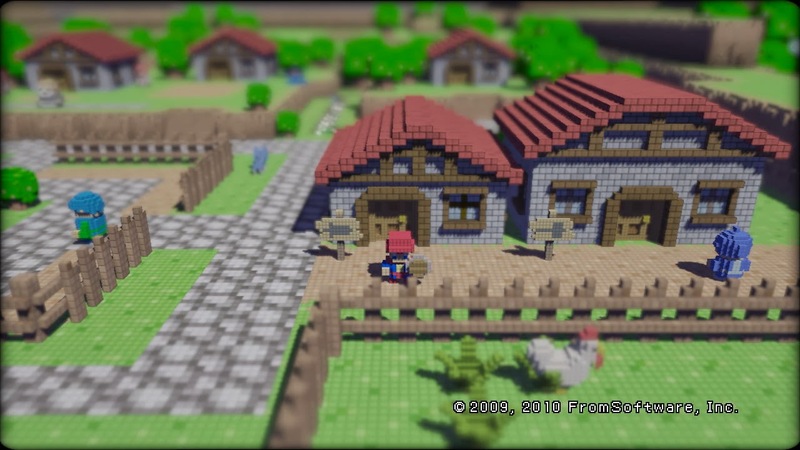 However, the PlayStation 3's 3D Dot Game Heroes is an homage to the classic game, The Legend of Zelda proper, offering an abundance of NES-related game references and a nostalgic take on the action/adventure genre. The game used blocks for characters, enemies, and settings, delivering a world that was as fun to look at as it was to explore. While 3D Dot Game Heroes sold poorly in Japan (less than 20,000 its first week), U.S. sales were more than admirable, exceeding Atlus USA's (the publisher) expectations by six times. We'd be grateful for another trip down memory lane in an adventure that blends old and new with another 3D Dot Game Heroes. In our review yesterday, we gave a relatively glowing review of the GameCube's Final Fantasy Crystal Chronicles. 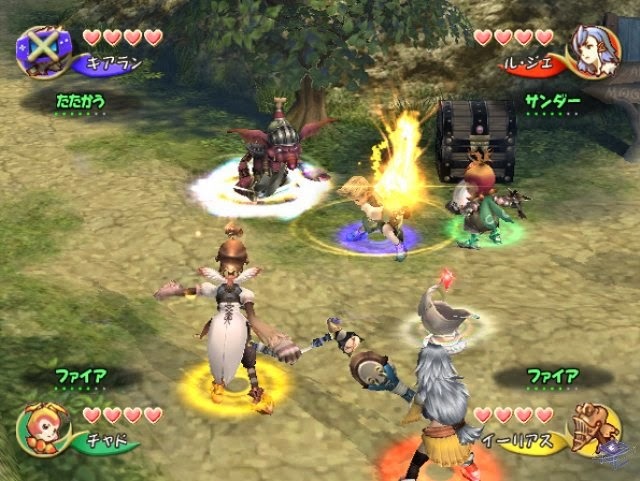 Since the original 2003 release, the Crystal Chronicles sub-series has spawned new iterations, two similar dungeons crawlers on the Nintendo DS, a duo of city-building games on Nintendo's WiiWare service, and a completely different take on the series with the Wii's Crystal Bearers. However, we'd be most interested in seeing Square Enix return the Crystal Chronicles line of games back to basics with the enjoyable dungeon crawling, treasure finding, monster defeating, boss beating, multiplayer action that games like the original GameCube Crystal Chronicles and the DS games contained. We don't care if it's on Wii U or Nintendo 3DS-- we just want our dungeon crawling thirst quenched! Plus, it would take the bad taste out of our mouths from the Final Fantasy XIII trilogy. Couldn't hurt, right? 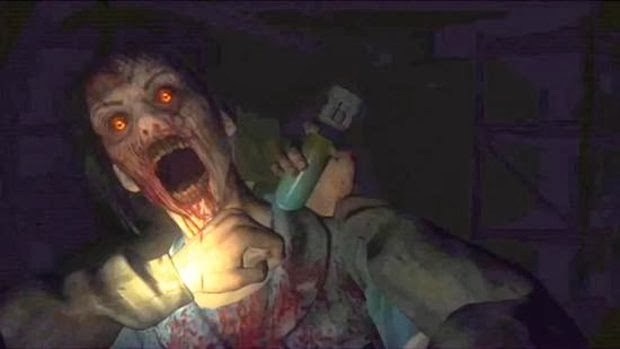 The Wii U launch title, ZombiU, sold poorly. 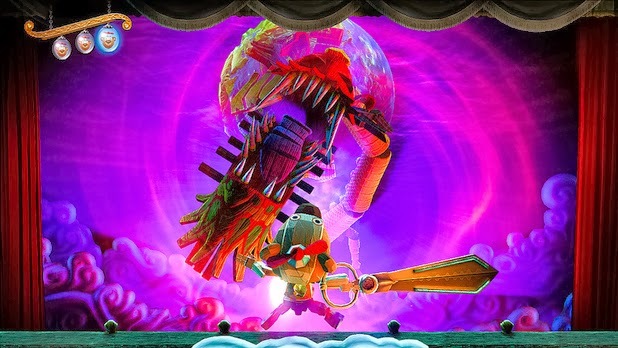 As a result, Ubisoft opted to delay Rayman Legends and port it to multiple platforms. That's a shame, not just the Rayman game being sent to die in September, but because ZombiU is still one of those Wii U games that makes the greatest use of the GamePad, something that Nintendo can hardly design creative ideas for. 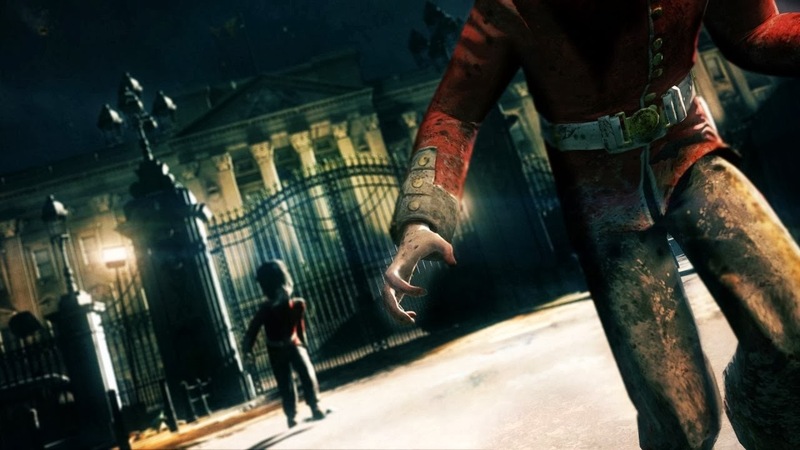 It's safe to say that without the GamePad ZombiU wouldn't be the same, wouldn't be as scary, and wouldn't be as much of an experience. Using the GamePad in real time to check your backpack's inventory while making you vulnerable to zombie attacks made things all the tenser. Solving puzzles with the controller and doing so much more made ZombiU more than just another shooter. Add in permanent death, and you have an original and criminally overlooked Wii U exclusive that should have gotten more attention. The hope of a followup is pretty low, but even if Ubisoft needs to make a sequel multiplatform, we'll take it. We need our zombie fix! 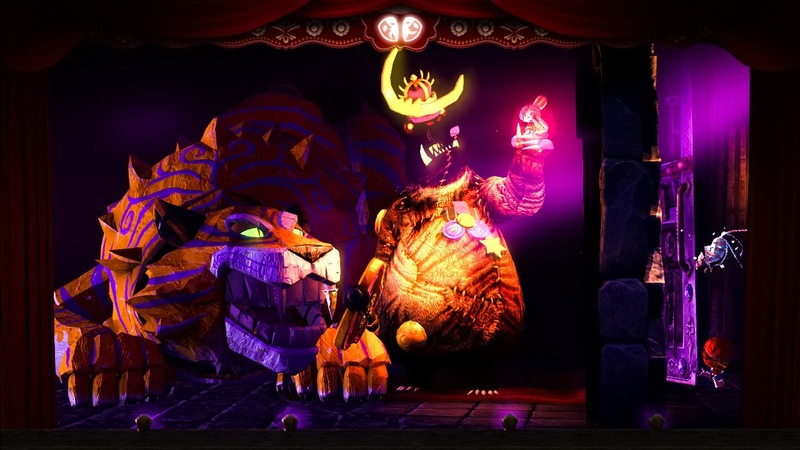 Severely overlooked by PlayStation 3 audiences, the insanely charming and whimsical platforming adventure known as Puppeteer was a game that released to no pomp, no circumstance, not even a little "hey!" Instead, Puppeteer was relegated to bargain bin status quite quickly. We are of the minds that Kutaro and the rest of the gang deserve another chance; this time for redemption. Whether it be on PlayStation 4 or PlayStation Vita as a retail or downloadable title, we don't want to see the immensely interesting world of Puppeteer vanish when there's so much potential to it. A certain site that will not be named, but fashions itself as "a neutral ground where facts and evidence, presented within the confines of civil, inclusive discourse, prevail through careful moderation" recently brought to my attention something that I thought was an open and shut case. Something that was accepted a long time ago and everyone was finally over. Nope. That would mean gamers had grown up, and that's just crazy talk! It was the idea that the Wii really didn't win the seventh generation of consoles. My first thought was "who gives a %$#%." Since we try to maintain some class on this site (and usually fail), I decided to censor myself. Then my second thought was "why does it even matter unless you're inside your room on your computer playing console wars instead of an actual game?" It simply amazed me just how much the proverbial goal posts were being moved and how many mental gymnastics people on that site and in other places were participating in just to discredit the Wii. It all really boils down to semantics and careful wordplay, exceptions, and stipulations to revise history. One such example: "The Wii might have sold more, but how many people played Wii Sports once and then kept it in their closets? Hardly a victory." That would be true if the system's attach rate didn't rival the PlayStation 3's and Xbox 360's attach rates. How about the argument that Nintendo won the battle and lost the war? Somehow people are bringing up the Wii U to put a damper on the Wii's success. Apparently the Wii U is a direct failure thanks to Nintendo poisoning the well and burning bridges with the Wii. Forget all about mitigating factors like brand confusion, poor marketing, mixed messaging, long droughts with no notable games releasing in that period of time, the rise of mobile and tablet gaming, among other issues that made the Wii U arrive in its current state. It's obviously the Wii's fault. Right... 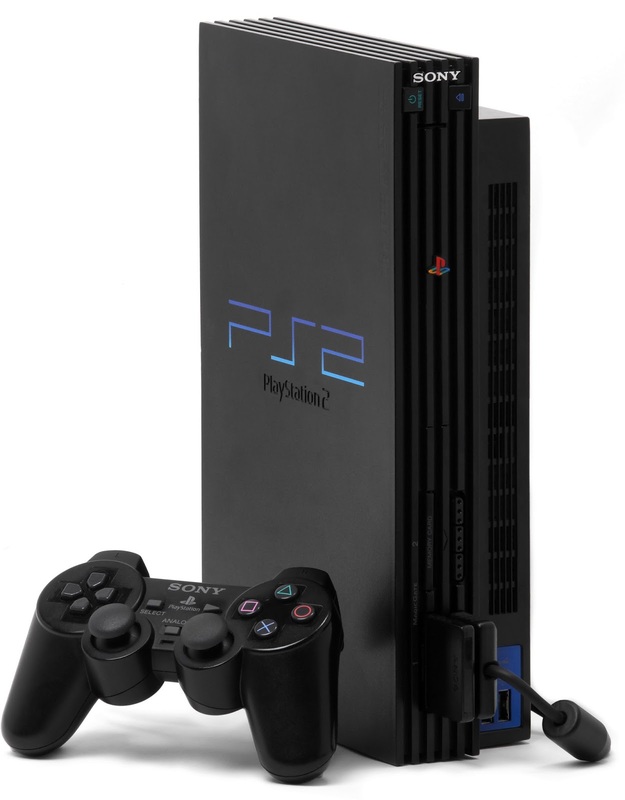 I guess then the PlayStation 2 is also a failure, then, as the PS2 led way to the initially dismal selling PS3. It only put Sony deeply in the red trying to recover from their fall from grace. Of course, the PlayStation 2 isn't a failure, nor can I consider the Wii a failure either because both systems' successors made both companies' financials change in a bad way. They were both successes sales-wise and profit-wise for their respective manufacturers. This excuse is my personal favorite, though. Since the PlayStation 3 and Xbox 360 were so close hardware-wise and shared a lot of titles, then obviously you can combine the sales of the so-called "HD twins" to reveal that they handily outsold the Wii. This leap in logic makes me literally laugh out loud. It's such a feat of mental gymnastics that shows that there are really some people who cannot handle the idea that Nintendo won a generation. Whether it's through the most consoles sold (which for over two decades was how "winning a generation" was determined, even though the idea is only for console warriors to cheer and whine about), or the idea that Nintendo easily made the most profit for the seventh generation, the Wii is the clear victor. I guess my question regards to why gamers are trying so hard to discredit the Wii's success. Do some people seriously have such hatred for a gaming company that they have grudges towards some faceless entity and cannot ever accept something positive about them? Do they need to find solace in their favorite pieces of plastic hardware selling more than another piece of plastic hardware? It's amazing how close to children a vocal amount of gamers really are. It's a popular misconception that Nintendo "abandoned" its audience with the Wii. You might say it did in 2008 with the less than horrible E3 presentation, featuring Wii Music as the "big" finale of the show. 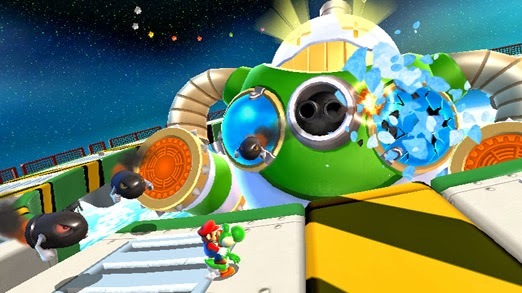 However, in 2010 Nintendo released not only one of the best games of the generation in Super Mario Galaxy 2, one of the greatest 2D platformers of all time in Donkey Kong Country Returns, showed off GoldenEye 007 at their press conference, as well as Metroid: Other M. This isn't even counting the other games released prior: new entries in the Fire Emblem, Punch-Out! !, Sin & Punishment, Battalion Wars, Wario Land, and Kirby franchises, among many others. While it is true that Nintendo did focus on non-gamers, to say that the company ignored or abandoned its base is preposterous. 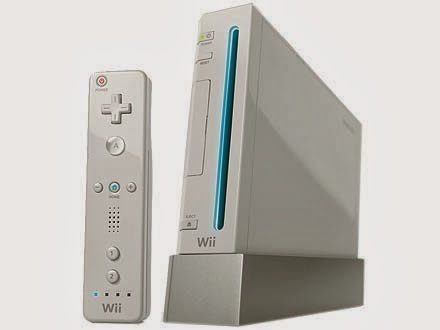 Somehow, for some reason, certain gamers cannot admit that the Wii did the best last generation and "won" the console wars for the seventh generation. However important that is. There are a myriad amount of excuses and stipulations thrown around by people who seem so emotionally involved with their hatred towards a friggin' video game company that shoots out franchises that many love that they can't admit something that is fact. It's as if Nintendo was a person and beat the crap out of them and stole each gamers' lunch money throughout elementary school, and these gamers are still bitter and angry to this day. Apparently the Wii is the incarnation of all things evil in gaming, despite having a worthwhile library of titles. It brought forth those filthy casuals into OUR hobby! How dare Nintendo try to expand gaming to more people! The truth of all of this is that the Wii outsold the Xbox 360 and PlayStation 3 last generation, and unless the PS3 can sell approximately a fifth of its total sales to catch up to the Wii, it will remain that way. That's seeing as the PS3's sales have greatly slowed down since the PS4's launch, and that the PS3 is also probably not going to do a PS2-like performance where it admirably sells on and on for years. You may not like the Wii, you may not think it has any games worth playing, and you might think that it was just a fad and not a real gaming system (whatever that means). That's just fine. Just understand that the only metric the "winners" of past generations have had is sales, and Nintendo and its Wii won with that metric in place. It's time for all gamers to finally accept and move on to another discussion that is meaningless as long as we get good games to play. Where will gamers move on to? Perhaps a heated discussion about the NPD numbers coming tomorrow. That's always good for a palm to the face in disbelief of how attached some gamers are to companies and their consoles-- so much so that they feel the irrational need to cheerlead them and bash others. Ah, gamers. Keep on keepin' on. Lightning Returns: Final Fantasy XIII released today in North America. While you can read through the middling reviews of the game no one really asked for, why not take a respite from that and read up on a Final Fantasy game that is worth your time? It's Final Fantasy Crystal Chronicles for the Nintendo GameCube, and it's our first retro review of February. must learn how to dungeon crawl. The Final Fantasy series is not shy of creating spin-offs within the franchise. We've seen it done to great success with Final Fantasy Tactics, for instance. Final Fantasy Crystal Chronicles marked the first time in a decade that a Final Fantasy game hit one of Nintendo's home consoles. The last game before Nintendo and Square's falling out was Final Fantasy III for the Super Nintendo (aka Final Fantasy VI). 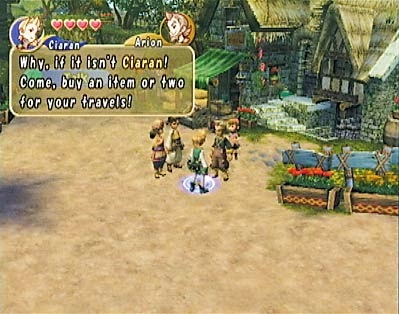 Since this GameCube release, the Crystal Chronicles spin-off series has seen multiple sequels in numerous genres. However, there's no arguing with me that the best form of the Final Fantasy Crystal Chronicles games are the ones that are dungeon crawlers. While not perfect, Final Fantasy Crystal Chronicles is a type of fun that is as clear as crystal. A meteor has hit the once peaceful and carefree world of Final Fantasy Crystal Chronicles. Now, a thick Miasma mist covers the world, and the only reprieve comes from large crystals that shine so brightly that they cut through the Miasma. Each town has its own crystal. However, in order to stay shining bright, they need a supply of Myrrh, dropped by trees spread across the world. You are part of a caravan for your village. Like many caravans for other towns, your duty is to collect enough Myrrh for one season, through traveling outside the safety of your village. If you fail in this mission, that means the hopes of your friends, family, and fellow villagers will succumb to the Miasma as their town's crystal no longer shines. These crystals protect from the Miasma. before needing to be recharged with Myrrh. 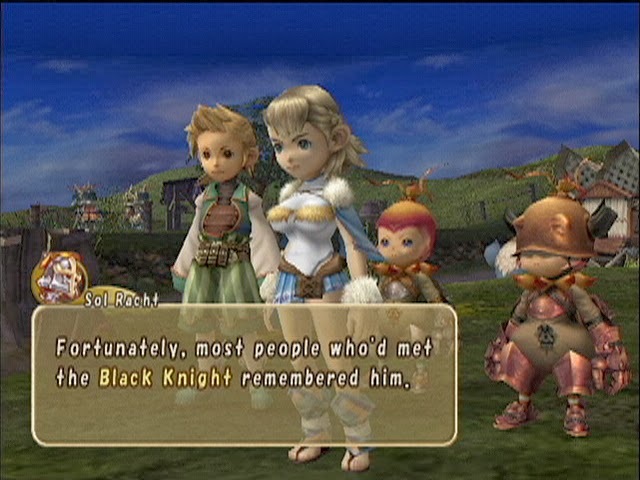 You start off Final Fantasy Crystal Chronicles through creating your own character. This isn't some fancy, in-depth MMO-like deal. You simply choose one of four tribes-- the well-rounded Clavats, the offensive powerhouses the Lilties, the magic-loving Yukes, and the focus attack-preferring Selkies. You then choose from one of eight character models, four of which are male, and four that are female. Finally, you select what trade your family lives off of, whether it's being blacksmiths, being merchants, being millers, farming, fishing, tailoring, ranching, and alchemy. Crystal Chronicles is split up between years. As stated, your caravan's goal is to collect enough Myrrh inside your caravan's chalice to protect your town from the Miasma for another season. However, collecting Myrrh is no simple task. Only the strongest and bravest are able to collect droplets of Myrrh, as each tree containing the life-saving liquid is protected by only the most powerful creatures in the land. Each time a droplet is received, the tree exhausts its supply and becomes dry. It only gets nourished with more Myrrh in two years game time. Also, a droplet gained makes a third of the game year go by. Once three droplets have been gathered in your caravan's chalice, you return to your village victorious... at least until a new year begins and the song and dance continues all over again. Miasma streams separate the land, each requiring your chalice to be made up of one of four elements: fire, earth, wind, or water. If your chalice is not the correct element, you cannot pass through the stream. You can change elements by moving to previously completed levels on the world map and selecting the element you need, pending it's available in that level. 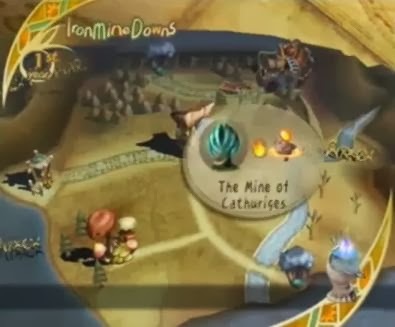 As you progress through the years, new areas of the land open up to you, eventually allowing you to reach the final dungeon of the game to witness the conclusion of Crystal Chronicles' story. Final Fantasy Crystal Chronicles is a pure hack-and-slash dungeon crawler through and through. The main aim here is to go through dungeons and other monster-infested areas, defeating enemies, solving simplistic puzzles, and finally encountering the boss of the area in order to defeat him/her/it to obtain a drop of Myrrh. Action takes place in real time. You shuffle through commands-- things like attacking, casting a spell, or using an item-- with the shoulder buttons. Attacking is your best line of offense, allowing you, with precise timing, to perform a three-hit combo. There's some semblance of strategy involved in this, as monsters have a windup animation before they attack, but the best way to engage most monsters is to simply hit once, run to their side as they attack, hit again, run to their side, hit again, rinse and repeat. When you're surrounded by monsters, though, this trick won't work so well. There's also a defense command, but I never used it. Playing as a Clavat, guarding is practically useless, as you can still get hit from behind. It's easier to just stick and move. Yukes and Selkies have an advantage when defending, as they become immune to all offense-- physical and magical. Magic works quite differently when compared to mainline Final Fantasy games. You don't keep magic you acquire. Instead, occasionally a defeated enemy or opened treasure chest will reveal a piece of Magicite. Picking it up will allow you to set it to one of your command slots and then use it as much as you like-- there's no MP to worry about. Summoning a spell is as simple as dragging the casting ring on top of a monster and unleashing it. Of course, you're vulnerable to attack when you do this. 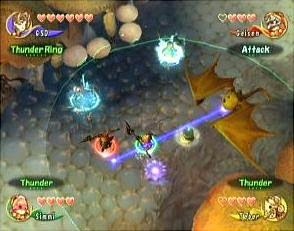 More complicated spells, such as Fira, Blizzara, Thundaga, and Cura, are created by setting two of the same spell next to each other on the command list and then merging them. In multiplayer, you and your teammate(s) can each drag your casting rings so they're on top of each other and cast your spells at the same time. Throughout each level, there are an abundance of treasure chests. These contain things like Magicite, food, scrolls, and treasures. Each of the four tribes have their own preference for food and what they like best. Eating foods that your character's tribe enjoys most will have great effects on the battlefield. Taking scrolls to blacksmiths in the game's handful of towns allows them to craft new weapons, armor, and accessories, pending you have the money and materials needed. I'll return to treasures in a bit. At the end of each level is a boss of some sort. It's a creature far larger and far more dangerous than any you've encountered in the level. You would expect such, too, seeing as each boss is the final obstacle between you and your droplet of Myrrh prize. Boss fights are generally thrilling battles, offering a tense atmosphere. Each has their own tells to help you expect which of their many moves they will be ready to unleash. From electric crabs to more traditional Final Fantasy foes like Marboros and Iron Giants, the range of bosses is large. It's always fun to see who or what you're going to face next. Perhaps the only gripe with the boss battles is that each boss summons two lesser enemies to contend with each fight. These can be eliminated, but they return eventually. They just make the fights a touch more tedious than they need to be. would some Scope kill you? There are three cycles of each level. The differences between cycles are that each version introduces new enemies, new moves for bosses, and better rewards for gear and treasures. It's prudent to not only replay levels to advance the years, thus advancing the story line, but it's also to gain some great gear and treasures. Each cycle begins when the Myrrh Tree replenishes its supply of Myrrh. After a drop of Myrrh has been collected from a level's Myrrh Tree, you get a letter from the local Mail Moogle. Once you've read your latest letter, usually always from your ever-worrying family, you get a screen showing all of the treasures you've collected in that level's run. There are four that you get from uncovering them in treasure chests, and four that are dropped by the boss. As there are no levels to gain through experience, you upgrade your strength, defense, and magic through selecting treasures. Each treasure ups one stat by up to three points, but you can only select treasure each run. This means you'll need to replay levels once the Myrrh Tree in them has been replenished in order to obtain all of the treasures and upcoming stat boosts-- and in some cases, added command slots or extra health. However, even if you collect all eight treasures in a given level, you're not guaranteed the ability to choose any one of them. Final Fantasy Crystal Chronicles has a bonus point system that rewards players points for satisfying a random condition. Such conditions can be taking damage, defeating enemies with magic, picking up treasure, not getting hit, etc. At the end of the level, your total bonus points are added up. Pending on the range your final tally for the level winds up in, you can have either slim pickings of treasure or a bumper crop. Regardless, there is one stipulation that makes bonus point conditions and trying to get treasure incredibly frustrating. That is that you need a Game Boy Advance hooked up to your GameCube to serve as the controller, as the GBA screen shows the bonus condition on it. If you don't have this, you're out of luck and better hope you are somehow satisfying the bonus point condition. The Game Boy Advance is also used for multiplayer. In fact, it's the only way to play multiplayer. Do you have four GameCube controllers that are itching for some multiplayer mayhem? Too bad. You and your friends all need their own Game Boy Advances and link cables in order to play. If you can somehow get this expensive setup organized, you'll find a very fun multiplayer experience. 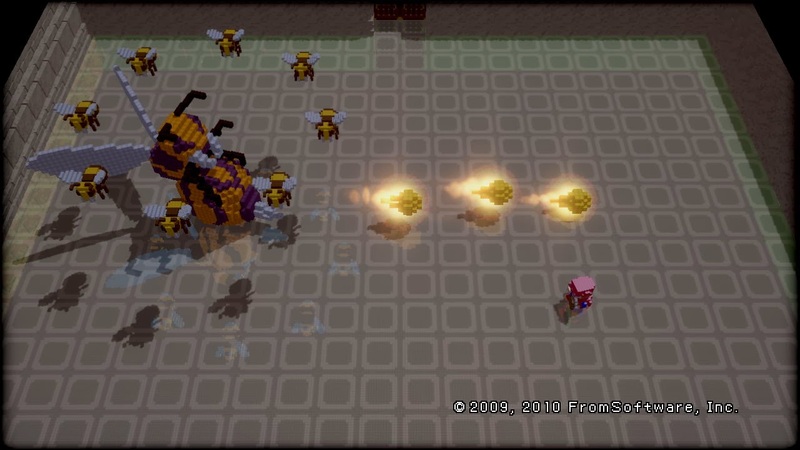 It's enjoyable to take down a boss together, split up duties, and sync up to cast a powerful spell on an enemy. If you're only playing with two players, the fun is of lesser quality. One player must always carry the chalice, which shields players that are close by it from the poisonous Miasma mist. In single player, your Moogle carries the chalice, but for some reason the developers decided to allow your furry friend to get tired. This means it complains and wants you to carry it for a little while. Otherwise you're stuck with a much slowed down Moogle. go so much more smoothly than when not. 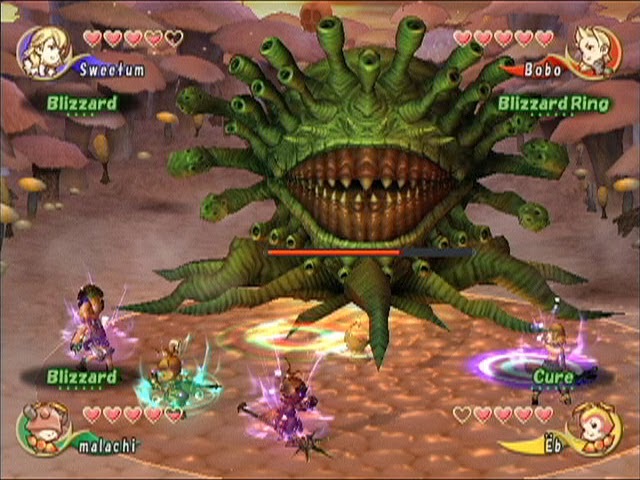 The world of Crystal Chronicles still impresses to this day. The levels and cities are heavily detailed, each exuding immense amounts of ambiance and personality. Character and enemy models are visually stunning as well, boasting nice little accents all over. In terms of sound, Kumi Tanioka delivers a remarkable rustic soundtrack, using Renaissance and Medieval era instruments to create an earthen sound. From the melancholy "Into the Gloomy Darkness" to the jaunty and rosy "Amidatti, And Eleonor Too", the music of Final Fantasy Crystal Chronicles makes for one fantastic soundtrack-- one of my personal faves. 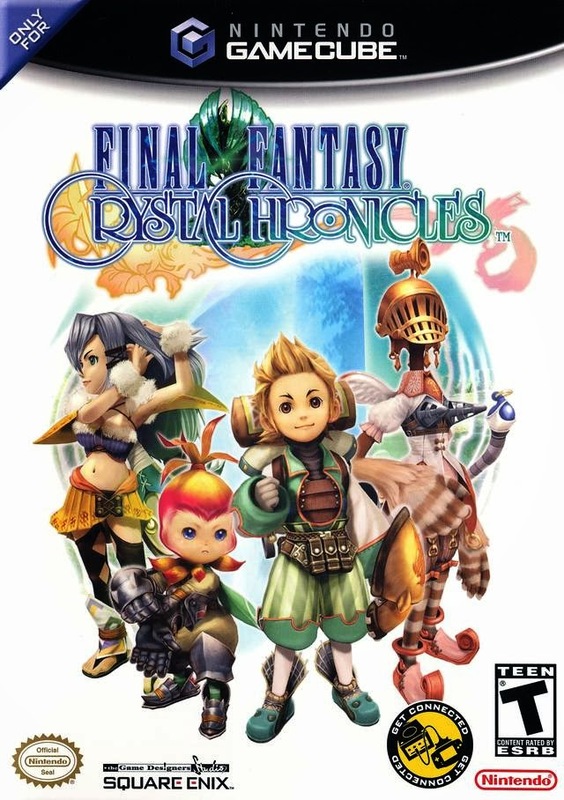 Final Fantasy Crystal Chronicles can be described as a simple hack-and-slash, but with interesting dungeon design, superb presentation, and rewarding gameplay, the game is at the higher end of its genre. The ability to play with friends-- however costly-- only adds to the fun, creating a whole new dimension of craziness of dungeon exploring hijinks. Overall though, I would say that the requirement of having a Game Boy Advance for each player in order to try the multiplayer features, and the need for one to see what bonus point condition you have in a given level brings down the game a little. 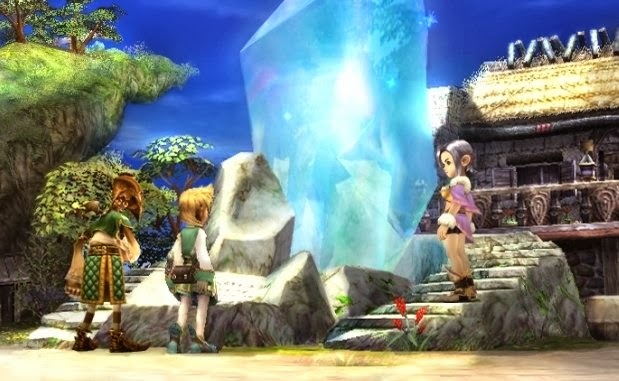 However, what Final Fantasy Crystal Chronicles has is something that should quench the thirst of any gamer with a desire for a highly competent hack-and-slash dungeon crawler.